California's Yosemite National Park is warning more than 20,000 past visitors they are at risk of exposure to the potentially deadly Hantavirus after it claimed another victim. Three people have died out of a total eight people infected after using cabins in the park this summer. NBC's Janet Shamlian reports. Updated at 8:12 a.m. ET: A third person has died from the rare, rodent-carried hantavirus after visiting Yosemite National Park, bringing the total number of infected persons to eight and prompting warnings that the virus is not contained to just one area of the park, health officials said. Yosemite National Park doubled the scope of its warning on Thursday to some 22,000 visitors who may have been exposed to the deadly mouse-borne disease. U.S. officials had recently sounded a worldwide alert, saying that up to 10,000 people were thought to be at risk of contracting Hantavirus pulmonary syndrome (HPS) after staying at "Signature Tents" at the Curry Village lodging area between June and August. As many as 2,500 of those individuals live outside the United States, health officials said. 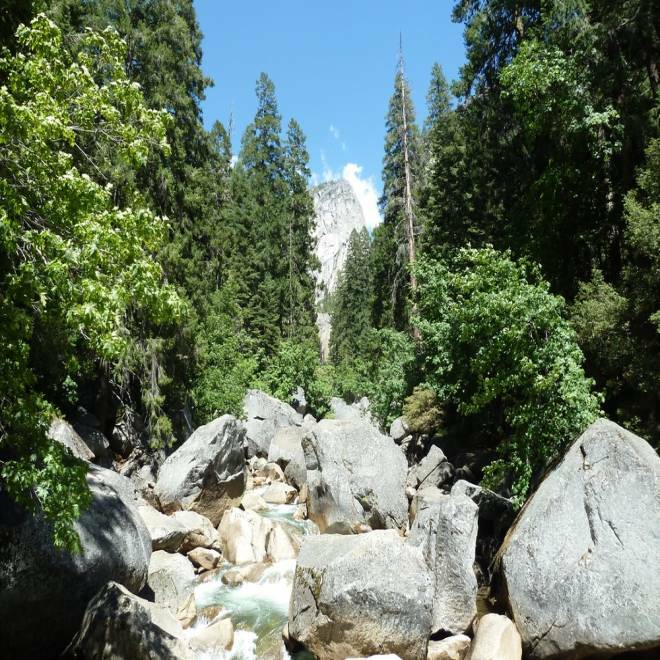 Yosemite spokesman Scott Gediman identified the third fatality as a West Virginia resident who contracted hantavirus while staying in Curry Village tent cabins in June. The person died at the end of July, and laboratory tests confirmed on Thursday that the death was due to hantavirus, he said. 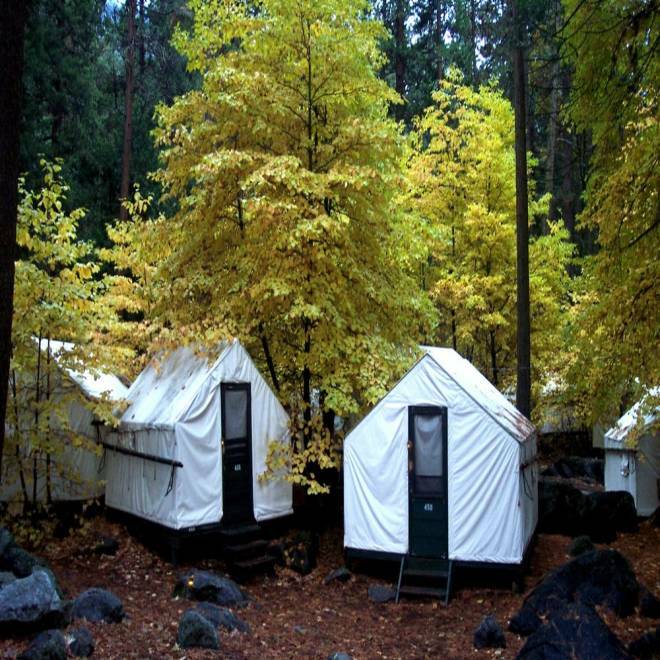 Officials are expanding their efforts to notify visitors to a complex of tent cabins at Yosemite National Park who may have been exposed to a rare but potentially deadly rodent-carried virus. Since June, eight park visitors, including six from California, have contracted the virus, according to Yosemite officials. Three of those infections have been fatal. According to the Centers for Disease Control (CDC), hantavirus is spread by contact with infected rodents, primarily deer mice. On Thursday, it was revealed that the virus is not confined to Curry Village, according to a statement from the park. One of the infected campers, who exhibited mild symptoms and is recovering, stayed in multiple High Sierra Camps in Yosemite in July. The five High Sierra Camps are similar to the Curry Village tent cabins, but they're spaced about six to 10 miles apart and are accessible only via backpacking trails at higher elevation than Yosemite Valley. The other seven cases have all been connected to the historic Curry Village tent cabins, which were recently been closed to the public. It can take up to six weeks for symptoms of the virus to show, though they usually appear two to four weeks after exposure. Early stage symptoms include fatigue, fever and body aches, and can rapidly progress to severe difficulty breathing. While there is no cure for hantavirus, oxygen treatment can increase the chance of survival for infected persons in severe respiratory distress and early detection is key, CDC spokeswoman Lola Russell said. The CDC warns that thousands of campers at Yosemite National Park could be at risk for the hantavirus. NBC's Miguel Almaguer reports. Hantavirus was first thrust into the public's awareness in 1993, when the virus was identified during an outbreak in the southwestern U.S.
CDC officials say the 1993 outbreak – which infected 42 people from 12 states – is the most comparable incident to the current outbreak. Health officials at the time scrambled to figure out what was making people sick, and though great strides have been made in the study of the virus, there are still many questions that surround it, said Craig Manning, with the Viral Special Pathogens Branch of the CDC. "There was higher than normal rainfall during the summer of 1993 and that led to a dramatic increase in the population of deer mice, which resulted in more opportunities for humans to be exposed to the virus," Manning said. Since 1993, there have been 60 cases in California and 602 cases nationally, Manning said, describing the infections as "quite rare." About one-third of California cases have been fatal, in line with the virus' fatality rate which hovers at around 36 percent. Manning said the recent outbreak has caused people to worry that a house- or field mouse may pose a threat to them. "The virus is very specific as to its preference for hosts," he said, adding that deer mice can be distinguished by their reddish-brown fur and white underbelly, and are smaller than field mice. Since June, eight park visitors have contracted the virus, according to Yosemite officials. The deer mouse is one of four rodents which can carry the virus found in every state in the U.S. The white-footed mouse, cotton rat and rice rat can also host Hantavirus. Deer mice are the most common carriers on the virus, and about 12 percent of their population is positive for Hantavirus. If you can clean your sleeping or living area, open windows to air out the areas for at least two hours before entering. Take care not to stir up dust. Wear plastic gloves and spray areas contaminated with rodent droppings and urine with a 10% bleach solution or other household disinfectants and wait at least 15 minutes before cleaning the area. Place the waste in double plastic bags, each tightly sealed, and discard in the trash. Wash hands thoroughly afterward - Do not touch or handle live rodents and wear gloves when handling dead rodents. Spray dead rodents with a disinfectant and dispose of in the same way as droppings. Wash hands thoroughly after handling dead rodents. More information is available at the CDC website's page on the hantavirus. NBCLosAngeles.com and Reuters contributed to this report.